It wasn’t discovered by me, but I was privileged to co-author the publication in Creative Fibre magazine in September 2016. There are all sorts of questions that face a spinning wheel designer – from simple questions like horizontal or upright, three legs or four, to subtleties like proportions, drive mechanism, tension, ratios, and the complex interactions of moving parts. Have you noticed how many of the best makers have a background in engineering? The variety and ingenuity of the answers makers come up with are endlessly fascinating (I think this is why I keep studying spinning wheels). Ingenuity is particularly called on in times of war, when need is urgent but materials are scarce. So here it is – a friction drive wheel from World War One. Note: a slightly more detailed account (with footnotes even!) will be published in the Spinning Wheel Sleuth later this year. 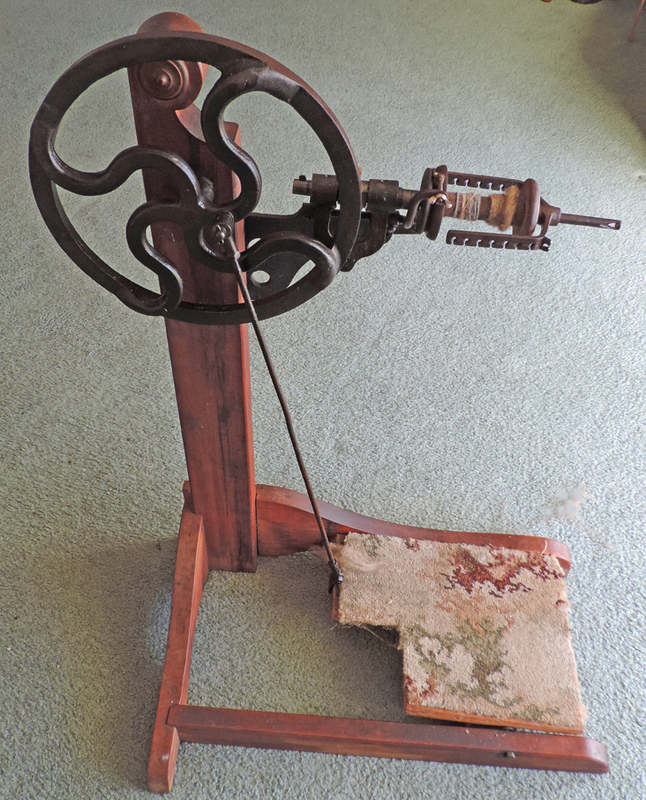 This entry was posted in Uncategorized and tagged Frank de Lautour, friction drive wheel, Gisborne Engineering Company, Poverty Bay Spinning Society, Strickland spinning wheel, wartime spinning, World War One on May 21, 2017 by maryinnz.